Are you looking for a physical therapist in Logan UT? 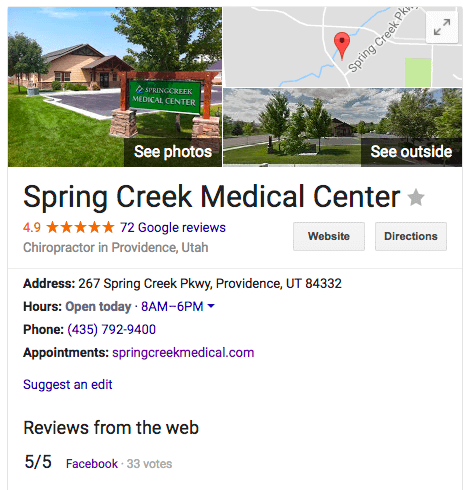 If you’re looking for the best physical therapy Cache Valley has to offer, look no further than Spring Creek Medical. If you are finding it difficult to move around or perform everyday tasks because of an illness or injury, we are here to tell you that physical therapy is the solution! The benefits of physical therapy include pain management, increased movement and mobility, improved balance, and even recovery from a stroke or paralysis. A physical therapist is concerned with identifying and maximizing both an individual’s quality of life and movement potential. 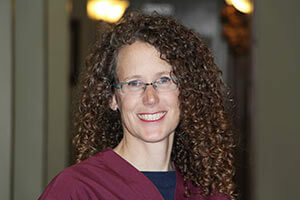 Through treatment, rehabilitation, and intervention, Megan Bressel, Spring Creek Medical Center’s physical therapist in Logan, will aid in your physical, psychological, emotional, and social wellbeing. Whether you’re recovering from surgery, or trying to prevent it, physical therapy will help you find greater flexibility, strength, endurance, coordination, and balance. Spring Creek Medical offers state of the art physical therapy in Logan, Providence and all over Cache Valley. Schedule an appointment today! People can feel hesitant about physical therapy for various reasons. Whether it’s because you think you can take care of the problem yourself, believe medication is your only option for pain relief, think your pain will eventually go away on its own, or that physical therapy is only for after accidents or surgery, you are missing out on an incredible resource. Physical therapists are trained to help with any form of movement dysfunction and pain management. The goal is to get down to the cause of your pain or dysfunction and find the best way to fix the problem. Here at Spring Creek Medical Center, we work hard to make sure our office is a comfortable and safe environment for everyone that comes through our doors. Through the guidance of our highly qualified physical therapist here in Logan, UT, you can finally reduce (or even eliminate) the pain you’ve grown tired of. So, after discovering the root of your pain, various methods are used to ease your pain while simultaneously developing your strength to prevent further pain or injury. We stand by the work of our physical therapy practice and our clients love us! One individual left the following review: “They have not only treated me for my chronic pain without the use of medications, but work hard to give patients resources to make sure they get better and stay better. Couldn’t recommend them enough!” If you’re in need of a physical therapist in Logan, give us a call! Along with the benefit of pain relief, another advantage of seeing our physical therapist is improved mobility. Mobility is crucial for physical independence and without mobility, movement is limited. Consistent movement is what creates balance and a better physical well-being. Not only that, but movement is crucial for a quality daily life. Whether it’s an injury, illness, or age that is causing you pain or limiting your mobility, physical therapy has shown over and over again that it will increase your overall function. A sore back at night or a stiff knee in the morning and other similar aches and pains are always assumed to be a natural part of aging. However, if those little twinges ever turn into something worse, it’s probably time for you to call a physical therapist! Believe it or not, there are specific physical therapy practices that are used to help provide optimal aging in your joints. Physical therapists are also knowledgeable about how to help individuals adapt to the potential negative side effects of aging, such as poor coordination, dizziness or vertigo, stroke, and even lung disease or diabetes. Click here to read our full article on why you need the Physical Therapy that Spring Creek Medical has to offer. Still unsure? Read what our customers are saying about our Physical Therapy service in Logan, UT! I have loved coming here! I was in an accident a year ago and due to financial outcomes, I wasn’t able to finish physical therapy and chiropractic care. I’m only in my third week of coming here and I feel amazing! I haven’t felt this good in such a long time, and the methods they use for physical therapy are way different than the last place they went. And they are working!!! I’m so grateful for these people and the progress I am already making. Thank you everyone! The staff at Spring Creek Medical Center are topnotch. Their approach is different than any other medical help I have ever received. Rebecca is great to take the time to explain everything I need to know about my medical issues and her approach is to fix the problem rather than medicate it. Her help with my Migraines has been amazing. Physical Therapists Meagan and AJ have done so much for my complicated back issues. Their extensive knowledge of the human spine has been instrumental in relieving my pain. Feel lucky to have found them all. All of us at Spring Creek Medical Center work hard to provide the residents of Cache Valley a physical therapy service that really works. So far, our customers agree! Click below to learn more about physical therapy and what else we can do for you!